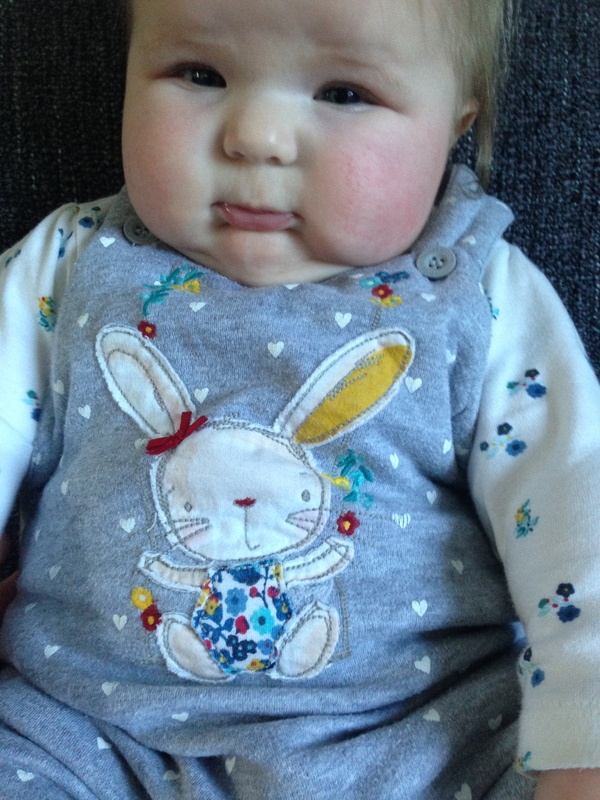 This dungarees and bodysuit set was from Mothercare and cost around £18. 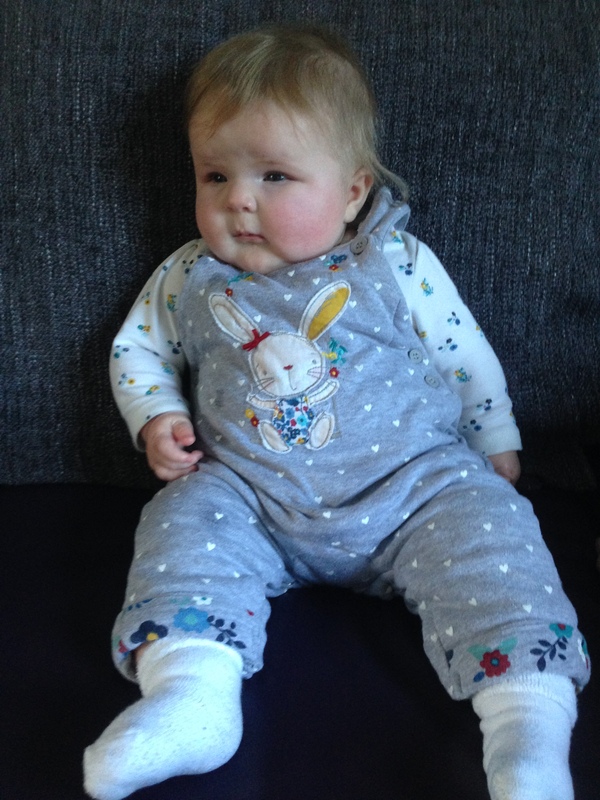 The dungarees are padded and so soft and cosy and the little bodysuit is a really pretty print. Aww that is just so cute – and her expression is absolutely priceless! Gorgeous print. I love dungarees on babies. We had some padded ones from Mothercare (not as cute as these though) and I remember them being super soft and snuggly.